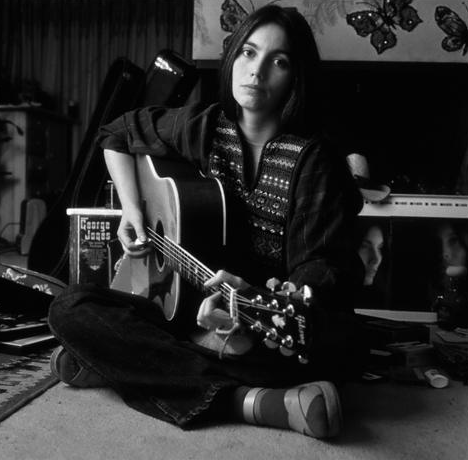 Boulder to Birmingham is Emmylou Harris’s shattered – and shattering – response to the death of Gram Parsons, from her solo debut Pieces of the Sky (she had put out a pre-Parsons folk record, Gliding Bird, that had sunk without trace, and so Sky is usually considered her debut proper). 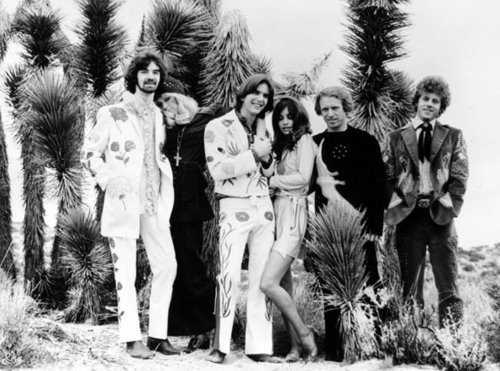 Pieces of the Sky features many of the same musicians who had played on Parsons’ GP and Grievous Angel, which I have written about before here. In that post I made a few grouses about the work of the backing band – Elvis Presley’s TCB Band – on those albums. Some of those same guys are present here too (James Burton, Glen D. Hardin, Ron Tutt), along with such quality players from the world of country rock as Bernie Leadon, Ben Keith, Billy Payne and Byron Berline. But Harris and producer Brian Ahern pulled much greater performances from the supporting cast than had been evident on Gram’s records, though. With Emmylou leading them, the band do far more than just take care of business. This isn’t showbiz. Instead, there’s a real emotional wallop on this record that I don’t find on the majority of Parsons’ solo material (but do find on the first Burritos record, just in case it seems like I’m being a Gram hater. Parsons was a frequently inspired songwriter, but I think his best recorded work was done with Chris Hillman, not James Burton, regardless of who was the better guitar player). Harris is a reliable singer and can breathe life into even the flimsiest material (God knows she’d have to do some of that in her time), but when paired with a song of substance, she’s devastating, the keening edge of her voice just cutting right through to the song’s emotional core. But in all her long career, she’s probably never topped this vocal, and as a writer, she’s never topped this song. The aural integrity of the recording and the quality of the musicianship evident on this record don’t come cheap, though, and Pieces of the Sky was apparently the most expensive country record ever made at the time of its release. Fortunately it was a mainstream hit and began Harris’s successful Nashville career, which lasted until 1995, when, in her late forties and facing diminishing returns in the era of Shania Twain and Faith Hill, she released Wrecking Ball and began a second career that straddled the worlds of alternative rock and trad country. This entry was posted in Music and tagged Ben Keith, Bernie Leadon, Billy Payne, Boulder to Birmingham, Brian Aherne, Byron Berline, Chris Hillman, Elvis Presley, Emmylou Harris, Glen D. Hardin, GP, Gram Parsons, Grievous Angel, James Burton, Pieces of the Sky, Ron Tutt, TCB Band, The Gilded Palace of Sin, Wrecking Ball on November 23, 2013 by rossjpalmer.